We now know that Jack Abbott and Victor Newman are not brothers. Thank goodness! I'm glad Albert Miller is not Jack's biological father. So, who is Jack's biological daddy? Well, I suspect Jack really is John's biological son. Perhaps Traci is the product of Dina's affair. Billy is crashing and burning. Eileen Davidson (Ashley) has left the show. That's why I think Jack will resume his place as CEO of Jabot. Poor Traci, who really any desire to run Jabot, is caught in the middle of all the chaos. She is being pressured into being interim CEO of Jabot. What a mess! Nick and Sharon are entering into marriage and both are keeping huge secrets from each other. They had a chance to come clean with each other, but they lost their nerve. I don't usually agree with Summer, but I don't think their marriage has any chance of survival. The writer's have really messed with Nick's character. He had some nerve buying a house without Sharon's knowledge.or approval. That's not partnership. It's control. I just can't warm up to Rae Rosales (Jordi Vilasuso) and I probably never will. I know it's not Jordi Vilasuso's fault, but I resent his character for usurping Paul Williams' role. I really think Doug Davidson was treated shabbily and I can't stand seeing Rae in Paul's office and effectively taking over his job. He'll probably replace Paul as Genoa City's police chief. By the way, I wonder how the writers are going to deal with Paul's departure. I wish Phyllis would mind her own business. She has to interfere in everything. She even crashed the party for Nick and Sharon. No wonder her Snowflake of a daughter is so resentful. However, Phyllis wouldn't be Phyllis if she stayed out of other people's affairs. Someone has to stir things up and she certainly is an expert at that. Faith Newman (Alyvia Alyn Lind) has not been seen onscreen since early summer. The 11-year-old, who has been portraying the daughter of Nick and Sharon since 2011, has landed a role in the film Walk. Ride. Rodeo. She will also be appearing as Lugnut in the Hulu series Future Man. She is a talented young actress and her career appears to be blossoming. With her busy schedule, she may not be able to continue her role on Y&R for much longer. If that happens, there's a good chance that the show will cast an older actress to play Faith. Faith spent the summer at camp. Now that school has started and her parents are about to remarry, she can't stay away any longer. 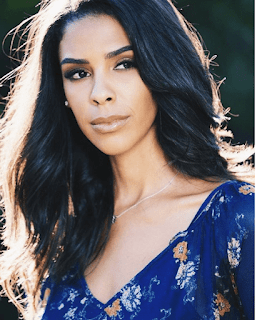 Alice Hunter has been cast in the role of a Jabot employee named Kerry Jones. Her character has ties to both Newman and Jabot. Alice is a newcomer to daytime television, but has had roles on Showtime's House of Lies and Comedy Central's Another Period. Alice is quite adept at accents and she is also a singer. Alice will make her first appearance as Kerry Jones near the end of October. 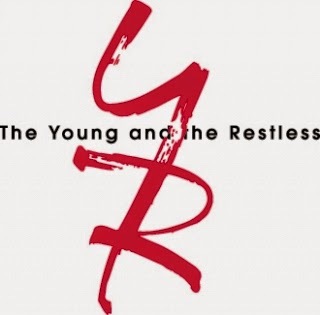 The Young and the Restless has been undergoing some changes lately. Do you like the direction the show is going. Are you upset that some longtime characters have gone? Respond to the poll below and let me know. Do you like the direction Y&R is going? Yes. They've brought in some young, intriguing characters. Yes. The writing is fresh and exciting. No. I will miss characters such as Ashley and Paul. No. The writing is terrible. That's all for now. Please remember that the next edition of Y&R Report will appear in this space on Saturday, October 13, 2018. To my Canadian readers, have a Happy Thanksgiving!